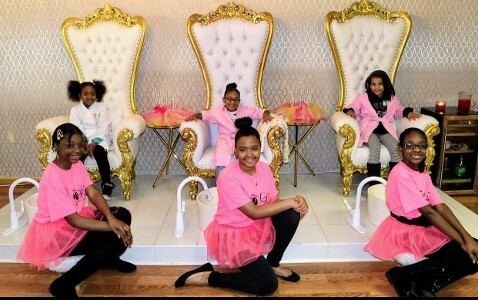 Give your girls the star treatment with a visit to Girlz Time BOUTIQUE. 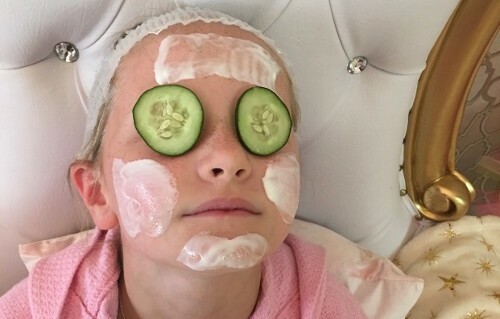 We offer girls’ spa parties in Woodbury, NJ, for teens and children. We feature a fun-filled environment where our guests can join their friends for beauty treatments. Our elegant, over-the-top spa and boutique parties for girls allow them to express who they really are — whether it's a diva, a rock star, or someone else. Let us cover every detail of your boutique party. We treat you and your guests like royalty and take care of all your event needs. 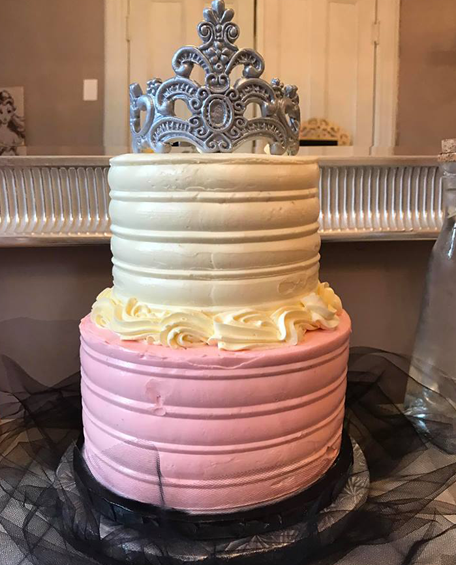 From birthdays to fun days with mom, our boutique party options are the perfect choice for girls of all ages. We offer spa party packages that include everything from mini-manicures and pedicures to makeup applications and flavored facials; as well as individual spa services. Whether you stop in or schedule a party with us, you will receive personalized attention, unique treatments, and an experience you will cherish forever. Our unique parties all have a spa theme. Your daughter and her BFFs will be pampered with manicures, pedicures, facials, and more. Save on a spa party for your daughter when you choose from one of our specialty packages. We can accommodate groups of all sizes. Adults deserve to have fun, too! If you are planning a special get-together or social gathering, we have the ideal room to rent. We are passionate about what we do — creating amazing parties for great kids. Our party planners enjoy providing quality service and love the look of gratitude and admiration on every girl's face who enters our space. We have more 10 years of event and party-planning experience, and it shows in our Facebook reviews and repeat customers. Because our core mission is to aid in identity development, we also offer a variety of self-development workshops within our space. We are ready to host parties with a purpose for girls in Camden, South New Jersey, Delaware, and Philadelphia. Each child must have one of their parents or guardians fill out a form with their child's name and sign it. This ensures that Girlz Time BOUTIQUE is not held liable for any damage or loss of property while the child is in our care. For the best experience for our guests, service commences properly at the scheduled time, and any late arrivals are not guaranteed to receive all services included in the Party Package. Deposits for spa and boutique party bookings are non-refundable, and bookings must be made two weeks in advance. A 18% gratuity will be added to all party packages. Please note that spa parties are for entertainment only. While our staff members are trained professionals, they are not licensed cosmetologists. 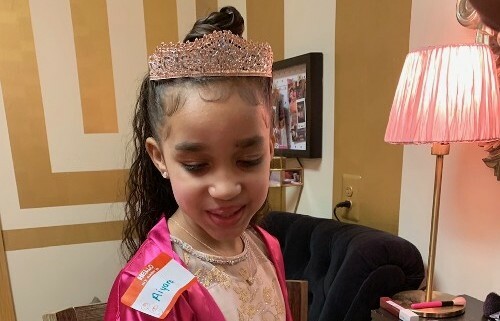 Our mission is to cultivate the lives of little girls, to inspire them to be all that they can be, to instill values and enhance the principles of life by pampering with a purpose. Each child must have one of their parents or guardians fill out a form with their child's name and sign it. This ensures that Girlz Time BOUTIQUE is not held liable for any damage or loss of property while the child is in our care. Service commences properly at scheduled time, any late arrivals are not guaranteed to receive all services included in the Party Package. Deposits for party bookings are non-refundable, and bookings must be made two weeks in advance. Please note that spa parties are for entertainment only, all staff are trained professionals but are not licensed cosmetologists. A 18% gratuity will be added to all party packages.